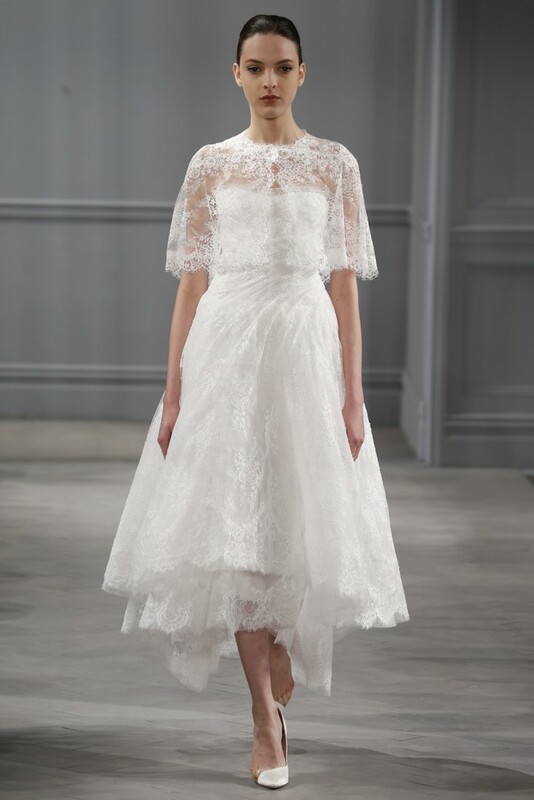 The bridal trends for Spring 2014 leave room to try something a bit different. While gorgeous white gowns and traditional strapless silhouettes certainly made their customary appearance, it wasn’t all run of the mill. Vera Wang surprised with black-and-white looks, finished with dramatic black opera-length gloves. 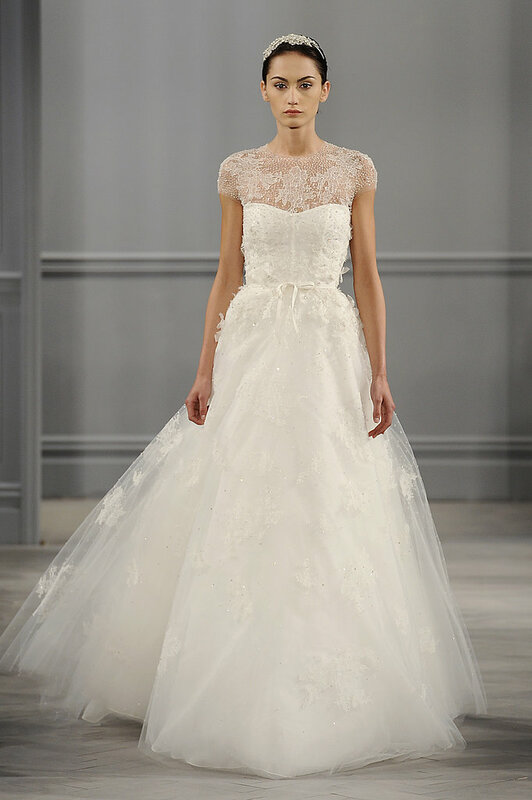 Oscar de la Renta dipped into the color wheel for a true “something blue,” Reem Acra turned out cocktail minis topped with veiled umbrellas, and Carolina Herrera debuted a sexier kind of wedding-day ensemble (think deep V-front necklines). From long sleeves to peplum skirts to jacquard fabrics…here are the trends that stole our hearts, and the designers who showcased them best. This entry was posted in Bridal Gowns on June 24, 2013 by yczhj2007.